No matter how far and wide Khalil runs, Tobias will always find him. The nefarious crime lord has sent an assassin to finish the job on Black Lightning Season 2 Episode 8. One way or another, blood will be shed for Tobias's honor. After Khalil defied the kingpin and made a run for it, he became the new enemy. No one disobeys Tobias and lives to tell the tale. Plus, Khalil is a loose end that needs to be cleaned up, so Tobias is going to make sure he gets rid of his "Painkiller." The former enforcer escaped Freeland with Jennifer by his side to live a life without fear. However, it seems that their problems have caught up with them. Based on the trailer for "The Book of Rebellion: Chapter One: Exodus," Tobias's skilled and talented assassin has found Khalil and Jennifer's hideout. Sure, Khalil has some fighting abilities since the transformation to Painkiller. However, this is no ordinary assassin. 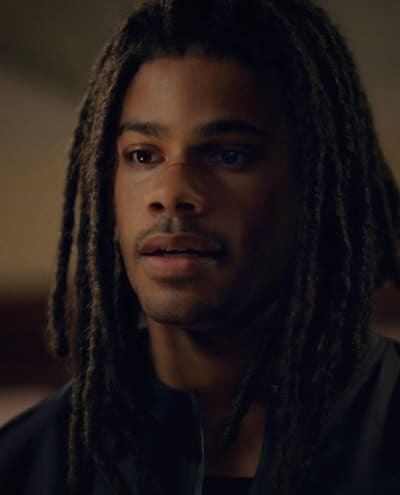 The attacker is highly trained and capable of even battling against the strongest metahuman. We see a few clips of this mysterious assassin throwing knives like it's second nature. She pinned Jennifer against a door with several blades, and she hurled a dagger at Thunder. Both Khalil and Jennifer tried to use their weapons, but it might not be enough to succeed. There's even a quick shot of a bloody body. Could that possibly be Khalil?! Elsewhere in the promo, tensions have reached a boiling point between Anissa and Jefferson. Thunder and Black Lightning have had arguments these last few weeks about the blurry line between father/daughter and being a superhero. But, Jennifer running away was the final straw. Jefferson tried to blame Anissa for Jennifer running away. (Possibly because she knew about Jennifer texting Khalil?) However, she's having none of his ill-sighted conclusions. Anissa swiftly throws the blame back on him. She is adamant that Jefferson was the one who pushed them away, not the other way around. 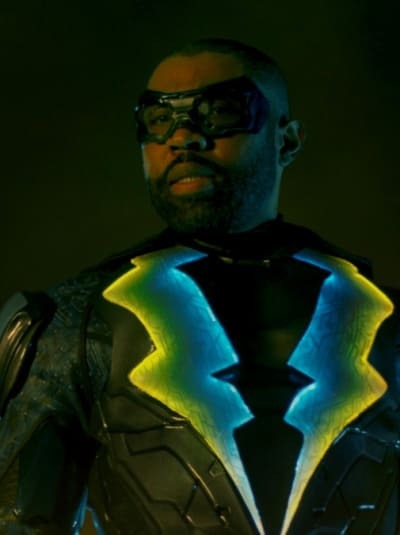 Could this be the wedge that breaks up the Thunder and Black Lightning duo? Do you think Khalil will be murdered by the assassin? How will Lynn and Anissa react to Gambi being alive? Will Jennifer's secret powers be exposed to the assassin and Tobias? Don't forget, you can watch Black Lightning online via TV Fanatic to catch up on all the past action. Black Lightning Season 2 Episode 8 airs Tuesday, December 4 at 9/8c on The CW. 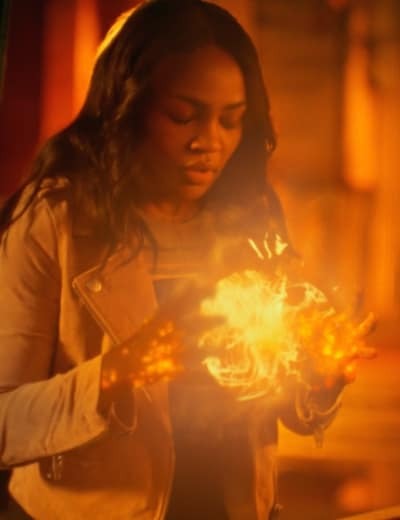 Black Lightning Season 2 Episode 8: "The Book of Rebellion: Chapter One: Exodus"